The Piecemaker Quilters would like to invite all those interested in quilting (or wanting to learn how to quilt) to join us. We’ve had two of our Piecemakers recently relocate out of state and would welcome your participation. You’ll find us a warm and accepting group who makes quilts for baptisms, the sick and elderly, as well as for various mission projects for those in need here at home and abroad. 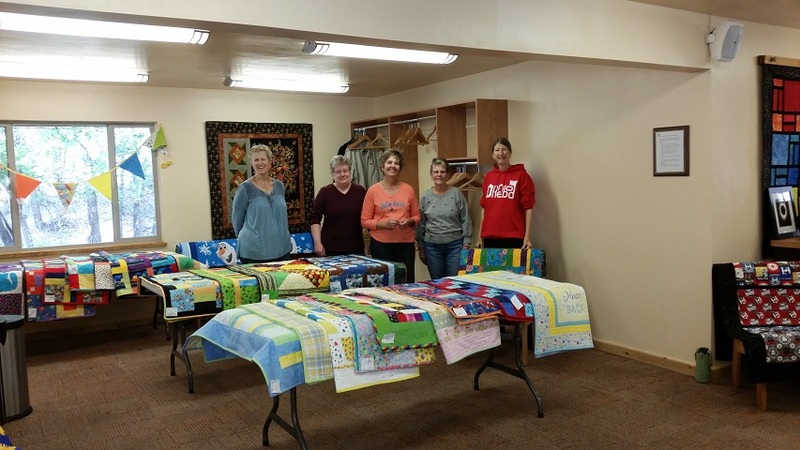 If you would like more information, please give Judy Danielson a call at the Durango Quilt Company: 970-247-2582. The Piecemakers regularly meet on the 4th Wednesday of each month from 9:30 am until 2:00 pm in the CtK Community Hall. We look forward to seeing you! The CtK Book Club meets on the second Thursday of each month at 3:00 pm in the CtK Library. Our next meeting is on Thursday, April 11th, and our discussion will be about the book, “The President is Missing,” by Clinton & Patterson; our May 9th book is “Keeper of the House” by Shirley Ann Grau; on June 13th, we’ll discuss “In the Midst of Winter” by Isabel Allende, and on July 11th, “Dear Bob & Sue” by Karen Smith and Matt Smith. Remember, you are invited to drop in at any time and join us for some lively and enriching literary discussions—new members are always warmly welcomed! Please contact Stella Welcher for more information.